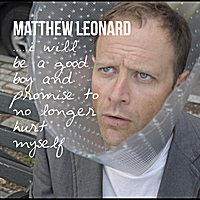 Matthew Leonard has released “I Will Be A Good Boy And Promise To No Longer Hurt Myself,” and album of lo-fi pop/rock weirdness that features lots of optigan.com’s favorite instrument! Matthew sent me a copy and it’s really fantastic- strikes just the right balance between catchy and weird, lo-fi yet coherent production. Head on over to the link and buy it! This entry was posted on Tuesday, September 25th, 2012 at 8:53 pm	and is filed under Sightings. You can follow any responses to this entry through the RSS 2.0 feed. You can leave a response, or trackback from your own site.